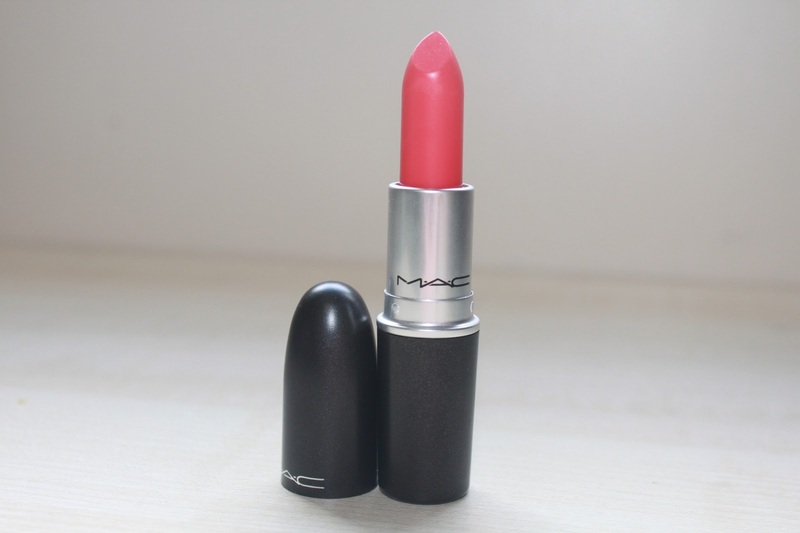 This bright little number is from the limited edition Fashion Sets collection from Mac which offers a range of lipsticks, nail varnishes, lip glass, lip liners and eye shadow in 4 colours. Each colour has its own name throughout the collection. The collection is full of bright purples and pinks and are summer ready! I needed some new bright lipsticks for summer and hopefully to team with a tan. Oh I wish I tanned. Fake tan is at the ready! The lipsticks caught my eye instantly, each colour arranged into groups. I love matte finishes the most from Mac and I was so happy that each lipstick had a matte finish. 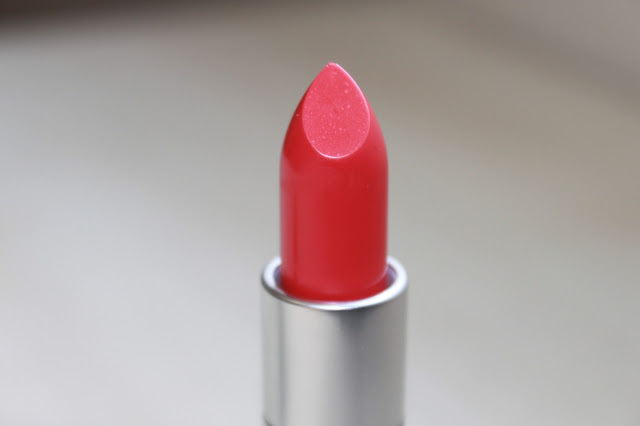 I picked up Ablaze and Silly, and today I'll be showing you Ablaze, a fiery coral with pink tones. The lipstick is super bright, and under the sun it looks as if it's glowing! This shade is on the same brightness as the Nicki Minaj Viva Glam 1, although it has a more redder, slightly darker tone to it. I find mattes from Mac slightly drying on my lips and unfortunately this one isn't an exception. It seemed to highlight my dry areas, so a good lip scrub and maybe a little lip balm before applying will do dry lips some good. If you love your coral lipstick, this will be one to try! I've been wearing this a lot recently, and I am loving it. It does lean slightly towards the pink in some lights as when I tried it in store it was very corally, but in the sunlight you can really notice the pink tones! Overall I love this shade and I can't wait to wear it more often on the beach or on holidays! It's going to be my summer shade that's for sure! Pick it up from your Mac store for £14. Currently sold out online! What do you think of this shade? Wow this is amazing on! Really like it. Omg this looks amazing on you! What a stunning colour. This lipstick looks lovely I was gutted I missed out on this collection the lipsticks had sold out. By the time I found out they where online boo!